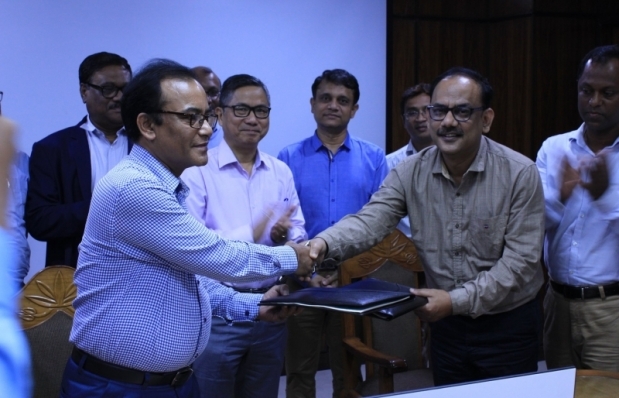 ORION Pharma Ltd. has donated a piece of land of abt 8.0 katha (5600 sft) to Bangladesh Power Distribution Company (DPDC) to set up a sub-station in order to facilitate electricity transmission to support industrialization in Narayanganj area. Orion Pharma Ltd., one of the pharmaceuticals giants in the industry, is developing the country’s largest Pharma plant in Shiddhirganj, Narayanganj with complete pharmaceutical solution. As part of its CSR, Orion Pharma has donated this land from the new factory to place a sub-station of DPDC to enhance the power generation and development in this area. DPDC will be able to transmit about 50 MW electricity per day fro this sub-station. The glorious sense of responsibility towards the nation drives ORION to contribute to the nation’s development in various aspects.